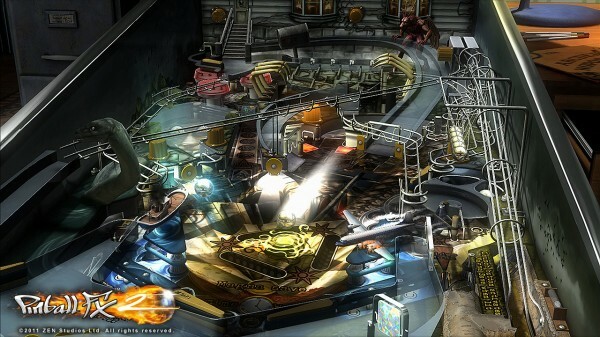 The Paranormal table for Pinball FX 2 was produced by Zen Studios. It was released October 26, 2011 for 0 MSP. The promotion ended November 2, 2011, and it now retails for 240 MSP. A copy was provided for review purposes. Paranormal is in truth not exactly a new table. 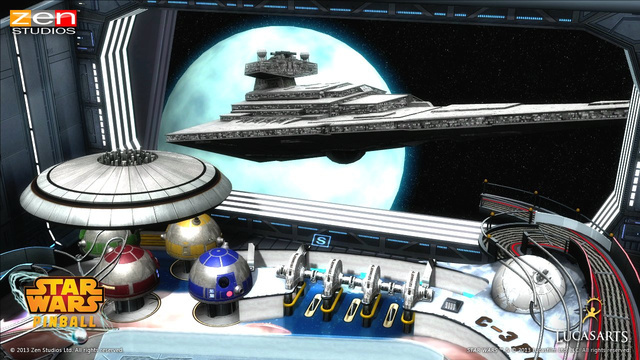 It’s been available for Zen Pinball on the PlayStation 3 for some time. The table may be showing its age, but it still has a lot to offer. The theme of the table is the investigation of paranormal activities in the area. Things like the Loch Ness Monster and the Jersey Devil make appearances amongst others. It’s one of the more complicated tables out there, but doesn’t play as smoothly as others. As solid as it is, it will struggle to gain traction with players as the more recently developed tables are so much better. Complexity – Paranormal is easily one of the more complex tables to understand and score well on. This is to its credit as many tables lately have been a bit simplistic. There are a nice variety of mini games and missions to keep you occupied for a while. Paranormal‘s challenge level seems to be a step up as well. 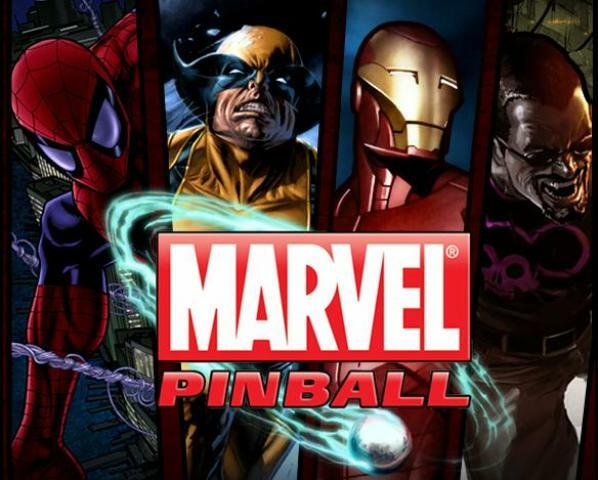 Magna-ball – This is the only table on Pinball FX 2 that employs magnetic effects on the ball to our knowledge. While it seems a no brainer that the forthcoming X-Men vs. Magneto table will have some sort of magnetic effects this was at least the first. The magnet adds to the strategy in some instances and really keeps you on your toes in others. Free – That first week you couldn’t argue with the price. Unfortunately, this review reached our readers after the free period was over. But it’s still a fantastic gesture by Zen Studios to offer it for free, even if only for a limited time. Bland look – This table just doesn’t look as nice as the tables that have been coming out recently. The look doesn’t make a table play better, but a bland look certainly can take away from the experience. This is unfortunately the case here. The truth is that Paranormal is a victim of the high standards that have been put in place by other offerings on Pinball FX 2. Older physics – It’s clear that this table was designed before the updated physics engine for Pinball FX 2 was available. Paranormal plays much more like one of the original Pinball FX tables such as Speed Machine. This isn’t the end of the world, but it’s hard to go back to after becoming accustomed to the newer tables. Lack of explanation – Sorcerer’s Lair failed to mention a few things about how the table works; Paranormal pretty much explains nothing. Perhaps it is in keeping with the theme of investigation that this was put in place. But it’s annoying to not know how to properly play the table. In rare instances where instructions flash on the screen they disappear so fast there is hardly time to read them. This is another example of problems that have since been fixed on newer tables. Too cramped – The overall design of the table just feels too cramped. It is very difficult to get into any kind of a rhythm either. It plays fine, but it isn’t tremendous. 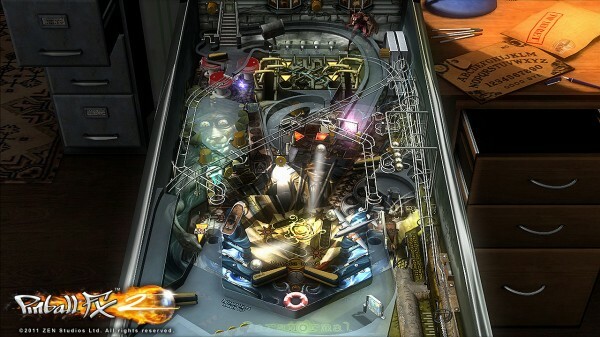 Paranormal is a table Pinball FX 2 fans have been wanting for a while. Now that we finally have it the result is something of a mixed bag. It has really been outmoded since it was initially released. It’s somehow completely competent while at the same time feeling like yesterday’s news. For free there is nothing to complain about, but at 240 MSP things change a bit. Any fan who has all the other tables will want to add this one free or not. But for newcomers there is any number of better tables to start with. For that reason this table is best tried before it is bought.